The Karaiskaki Stadium is one of the largest football stadiums in Greece and the second largest stadium in Athens. A completely modern football stadium, it is home to one of Greece's most prestigious clubs-Olimpiacos. 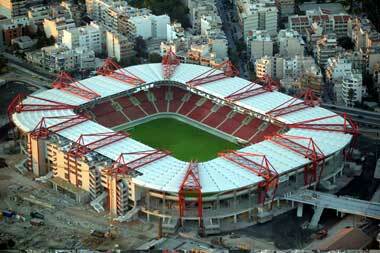 The stadium is located, around Faliro, and has a seating capacity of 33,000. Karaiskaki is also historically known as the site for the first Olympic Games that took place in 1896.